There is no dearth of articles talking about the health benefits of coconut oil. It is renowned for its anti-oxidant and anti-bacterial properties as well its wondrous benefits for hair and skin. A spoonful of coconut oil can be used to lower blood pressure and even helps treat cancer. 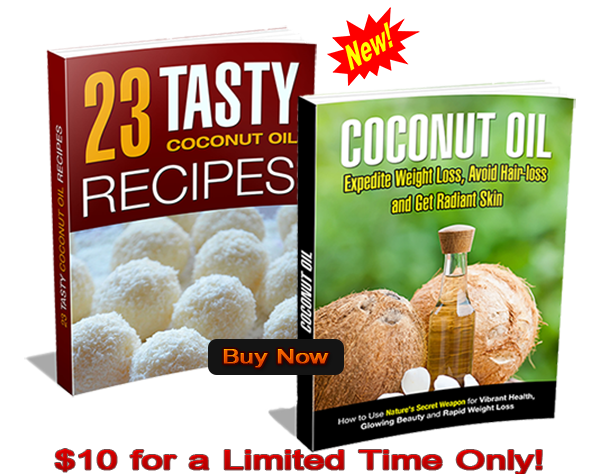 Moreover, the best part about coconut oil is that it is easy to make at home. Let us explore How to make coconut oil at home. Step 1: Firstly, try to shave off as much of the hard coconut shell as you can. Crack the fresh coconut open and remove the meat from the hard shell using a spoon or knife. In case you live in a place where coconuts are not easily available, you can use dried organic, shredded coconut flakes.Chop the coconut into small pieces and put the coconut meat into a juicer. 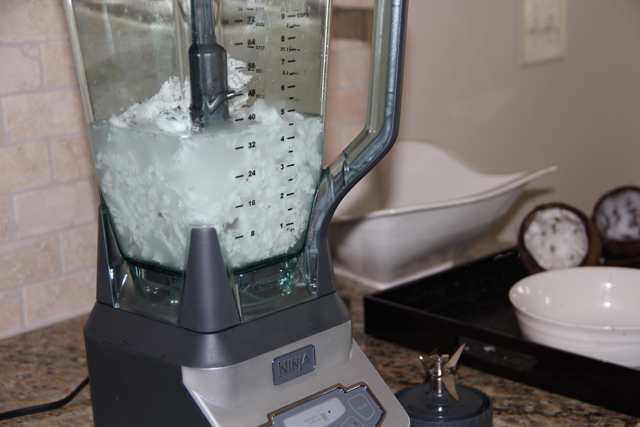 Step 2: In this process, you can either use a cheese grater to grate the coconut meat or put it into a blender. By blending it, you will get a nice mixture of coconut and milk. Step3: Add coconut water to the mixture if you used the grater in Step 2, in order to get the same coconut milk mixture. Place a muslin cloth over a large glass bowl. 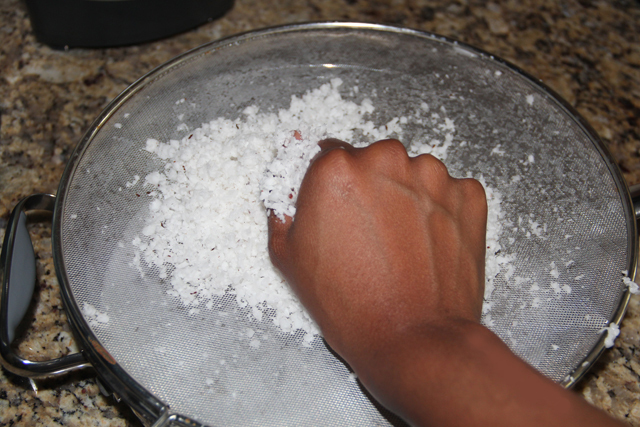 Then squeeze the coconut mixture using the cloth into the bowl. Repeat the process. 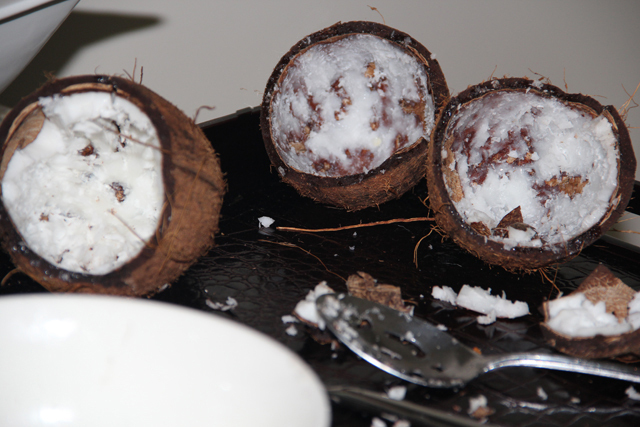 Make sure you have squeezed out all the liquid from the coconut so that all you are left with is a dry coconut pulp. Step 4: Now pour the coconut liquid into a glass jar and put it in the refrigerator overnight. This liquid is now coconut milk which can be used to make smoothies or in other food items as an additive. It can also be used in beauty products and applied on the face and hair. 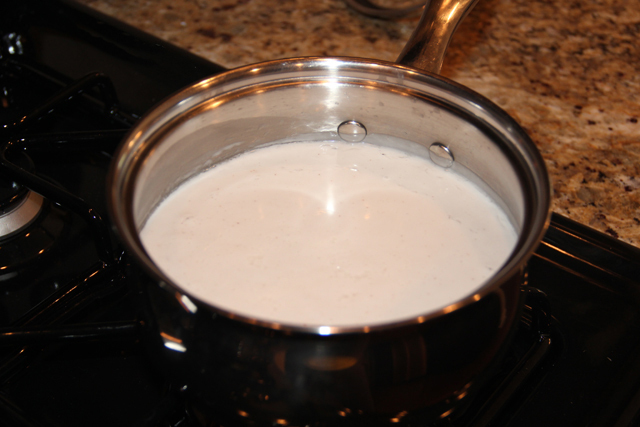 Step 5: In case you have not used your milk, you will find that a cream has developed on top of the milk. Separate the cream from the milk, using a spoon, into a tight container. Step 6: Put the container with the cream in a semi-warm place for 24-48 hours and you will see little bubbles form throughout the cream. These oil bubbles will start separating from the cream and you can put the container in a bowl of hot water to speed up the process. 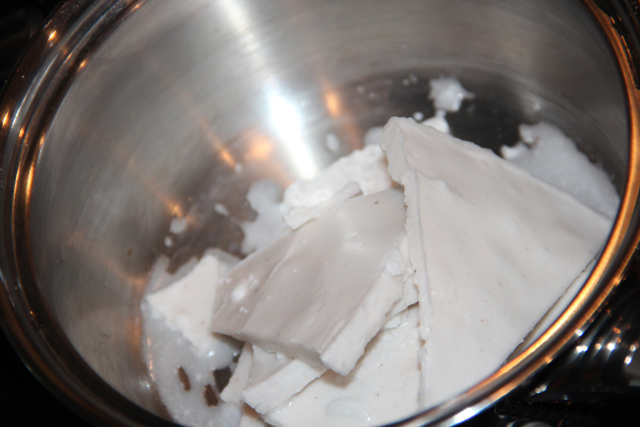 After 10 minutes, the oil will separate and float on top of the coconut cream. 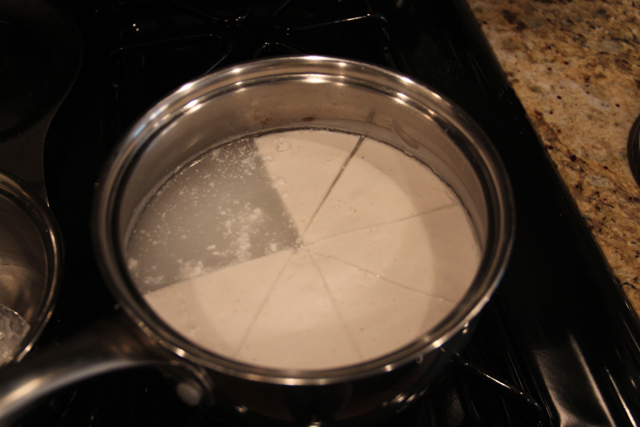 Step 7: Put the separated mixture into a container and refrigerate it. You will now be able to separate the oil easily because it will harden after being kept in the fridge. You can scoop off the hardened oil portion using a ladle or spoon. The coconut oil may still contain a few sediments, which can be easily separated using your hand or letting it cool a little longer. This coconut oil is now ready for your use. There is no need to throw away the dry coconut pulp after the milk has been extracted from it. It can be dried and then blended to create coconut flour that can be used for baking purposes. You can also use it create shredded coconut flakes. Pets are a big fan of this dried coconut pulp and can be fed with this. 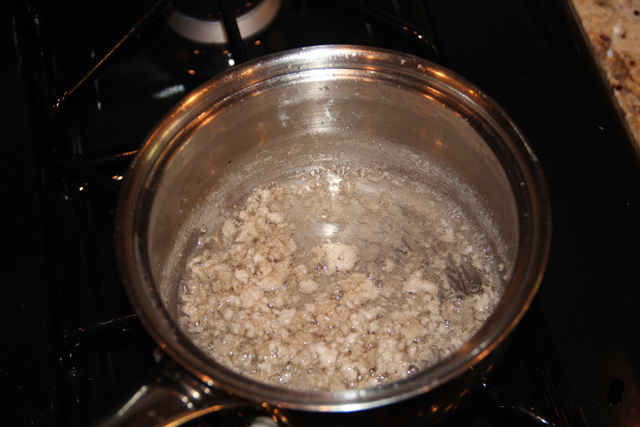 In addition, after you have separated the cream from the coconut milk, the liquid left can be used as cooking water. Since it is full of electrolytes, it can be mixed with pineapple juice and then refrigerated. Enjoy it chilled. How much does it yield? The yield is dependent on the size of the coconuts and how many were used. It also depends on how much liquid you were able to squeeze out from the meat of the coconut. On an average, three coconuts are able to yield about one and a half cups of thick milk. Of this, half can be converted into coconut oil, which is around 200ml. If you want a mature coconut, look for a hard, dark brown husk. If the coconut is of a lighter brown color, it has not matured and if it is green in color, it is still very young. 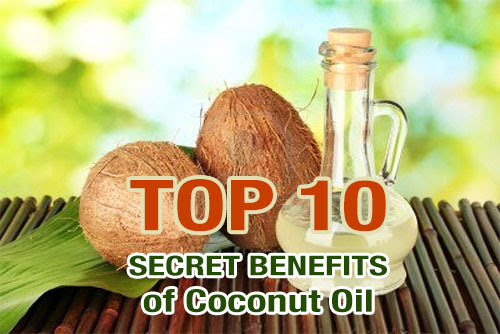 The benefit of using a more mature coconut is that it can produce more oil. You can even use the coconut milk to make your own coconut shampoo. For this, all you need to do is mix the coconut milk with liquid castille soap and essential oils of your choice. You can also add almond or olive oil to the mixture if your hair is dry. This coconut shampoo can last for about a month or even longer. Coconut shampoo ensures that your hair stays silky and shiny and remains untangled. This coconut oil can be used for baking light pastries as it lends a delicate vanilla flavor. It is beneficial to use this for cooking purposes, as it is a healthier alternative to traditional fats like butter and lard. If used in moderation and not treated with chemicals, coconut oil is even considered more beneficial than olive oil. Coconut oil can repair tissues and improve the digestive system. It also helps aid weight loss and boosts metabolism. If you are a coffee addict, coconut oil can also be used as a coffee creamer. It can also be mixed with equal parts of sugar to make a soothing body scrub or used on the lips a natural chap stick. Coconut oil becomes solid at 77 degrees Fahrenheit and is great for desserts as it immediately hardens when mixed with ice cream. However, make sure you consume small quantities of coconut oil to avoid any digestive problems. 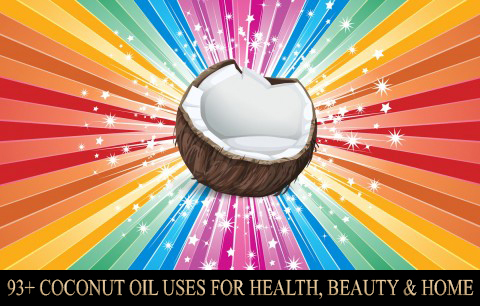 2 to 4 tablespoons of coconut oil a day is good. We learned how to make coconut oil at home. Now…Head to the kitchen and start making your own coconut oil.